There are pros and cons with this move but with the removal of the marquee at Tortworth the venue meant things needed to change. So I’ll start with the good things 650 square meters of exhibition space with the option to hire another adjoining hall of 950 sqm. 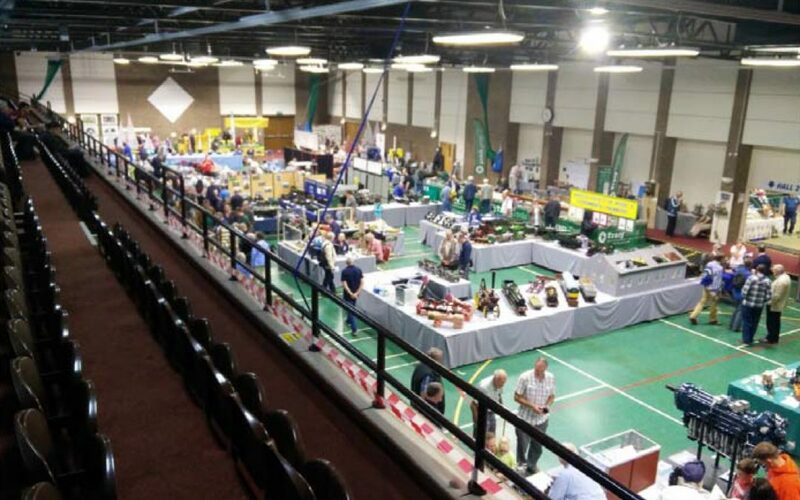 A separate hall for demos upstairs with lift access and as it’s a sports type hall a raised seating area to chill and get a birds eye view of the show. A brand new coffee bar straight onto the exhibition floor and access to an outside car park area for outside demos. It’s all completely separate from the leisure centre too and has plenty of parking. It’s not quite as isolated as Tortworth with the lovely little market town of Thornbury approx five minutes away. The downside is it’s not got the ambiance of Tortworth and there is no onsite accommodation so a short walk or drive will be necessary for everyone coming. There are still plenty of options for local accommodation and it is so close to Tortworth that those who still love the old venue could still stay there and drive about 5 miles in the morning. If you were coming from the north down the M5 you actually come off at the same junction but go right over the motorway instead of left to Tortworth. From the M4 side there are the Aztec hotels some of you may have stayed there in 07 when the show was in their conference suite. Thornbury also has a Premier Inn. I’m sure it’ll take a bit of time to readjust but I’m certain a suitable venue can be found for those preshow drinks that we all enjoy. Whilst this isn’t the nicest looking venue it does have everything the show needs to progress rather than regress and it more importantly falls within the budget a niche unsponsored show can afford which was always the sticking point in the past, huge venues come with a huge price tag. Funnily enough when I walked down to it today it took me back all those years to 2006 in Exeter for the very first show, it’s a little more industrial than aristocratic! !